One of my oldest Islay pictures, taken during my very first visit to Islay in July 1998 (before digital cameras, scanned from a print). 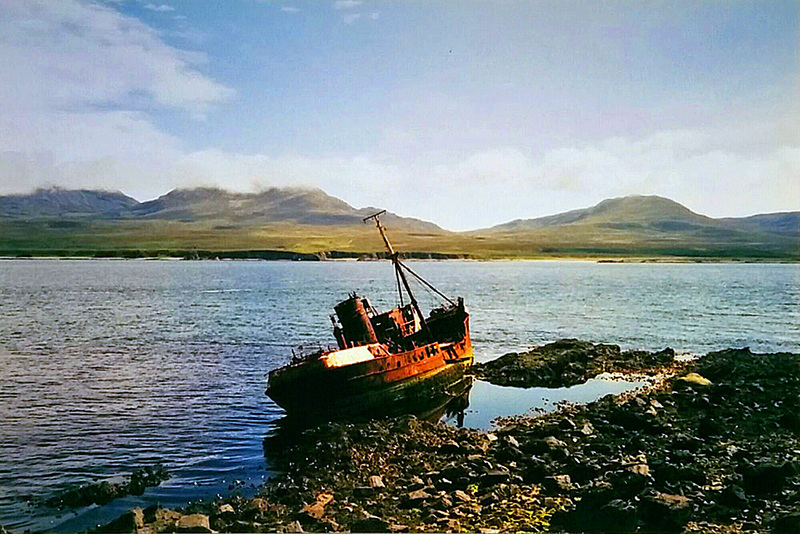 The Wyre Majestic ran aground at Rubha a’ Mhail near Bunnahabhain in October 1974, opposite the Paps of Jura on the other side of the Sound of Islay. This is how the remains of the wreck looked almost 20 years later in April 2017. This entry was posted in Cloudy Weather, Landscape, New Post, Sunny Weather and tagged Bunnahabhain, Islay, Paps of Jura, Sound of Islay, Wyre Majestic by Armin Grewe. Bookmark the permalink.